This Presentation date is August 28, 2018 at 16:00 - 17:00 local time. Stanimir Markov, CEO and Co-Founder, introduces Runecast to the delegates. 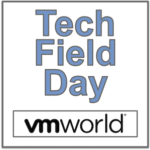 This includes a look at Runecast Analyzer, which provides proactive management of VMware. This discovers potential risks before outages become an issue. They pull multiple sources to automate the discovery of risks that may effect VMware. 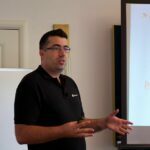 Stanimir Markov, CEO and Co-Founder, gives a detailed overview of the architecture behind Runecast Analyzer, the company’s proactive management solution for VMware. Aylin Sali, CTO and Co-Founder, provides a demo of Runecast Analyzer. This includes a look at the UI, how insights are presented, and what remediation steps can be taken within the interface.